VISION: Inspire. Empower. Educate. Transform. The arts are a human right. The Connecticut Office of the Arts envisions a world where the arts, in all forms, are embedded in everyday life. MISSION: The Connecticut Office of the Arts animates a culture of creativity across Connecticut by supporting arts making and arts participation for all people. In Connecticut, the state agency charged with fostering the health of the creative economy is the Office of the Arts, which is located in the Department of Economic and Community Development (DECD). 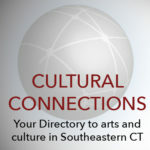 The Office of the Arts develops and strengthens the arts in Connecticut and makes artistic experiences widely available to residents and visitors. Through our grant programs, the Office of the Arts invests in Connecticut artists and arts organizations and encourages the public’s participation as creators, learners, supporters, and audience members. Through our programs and services, the Office of the Arts connects people to the arts and helps to build vital communities across the state. In addition, the Office of the Arts plays an ongoing convening role and provides an array of training and professional development opportunities. The Office of the Arts collects and disseminates state, regional, and national arts information resources via the communications, directories, publications, data-sharing, one-on-one consultations, and referrals. The Office of the Arts partners with nine Regional Service Organizations that serve as local field offices to constituents and citizens. This statewide network of service agencies plays a key role that is mutually beneficial to the state’s citizens and creative economy, the regional arts and cultural infrastructure, and COA’s goals, programs, and services. These service organizations support Connecticut’s economy and provide arts and cultural leadership at a regional level. See Regional Service Organizations link for contacts and municipalities served.